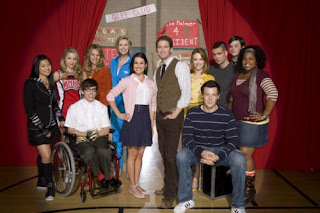 The Adventures of Megan Kathy Grace: Is it time for GLEE yet? I too look forward to the show all week. It's such a great fantasy, and sometimes winds up being surprisingly sweet. And nasty -- my favorite combination. Thanks for sharing Curt's Beyonce moves!